New Puppets for Peace Iniative with Ptarmigan Theatre. Our festival is reaching out to the community in a new way by making ourselves available to Seniors Centers with our partnership with Ptarmigan Theatre. 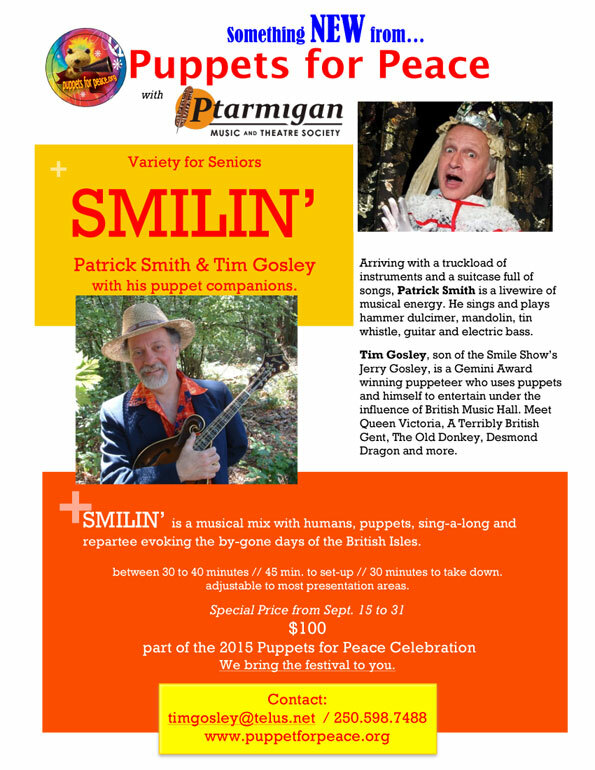 We present a new performance SMILIN’. It will be available at a special festival price from September 15 to 31.